***Use ANY "Cricut Lite" cartridge of YOUR choice & PLEASE incorporate some "BLING" somewhere on any project of your choice! Example, your project must have either, stickles, rhinestones, glossy accents, glitter.... etc...! IF YOU DO NOT OWN ANY LITE CARTRIDGES, USE ANY "OLDER" CARTRIDGE YOU OWN! *** Deadline for this challenge will be on Wed, June 22nd! The inside of the card's sentiment is also from "Just a Little Note to say"~! First up we have my Bestie, Miss Nikki! Isn't her card AMAZINGLY ADORBS??? I just LOVE Nikki's style, very simple, clean & PERFECT!!! She used my stamp set "Happy Homecoming"! This card is proof that this stamp set is so "versatile" that you do NOT only have to use it as a "military" set! Next up, we have another talented lady, Miss Katie! I REALLY need to see what cartridge she used for this because I have never seen that ADORABLE little "snorkler" anywhere in my cartridge library!! ;) She used "Have Fun in the Sun" stamp set which went just PERFECT w/her ADORABLE card! Last, but "Certainly" not least, the Ever so Talented, Miss Ruthie! This card is SOOOOO ADORABLE! I can tell that she used another one of my FAVORITE lite carts "Twinkle Toes"! For her card, she used "My Little Firecracker" stamp set! #71 ~ Tammy the purple muse!!!! CONGRATS Miss Tammy! Please email me so I can give you all the info! ;) Speaking of Custom Crops, they are have a "Customer Appreciation" sale going on RIGHT NOW!!! Go check it out HERE! Okay, listen up my creative friends! Now, for THIS challenge, this is the challenge right before my next stamp release! So do you know what that means??? It means if you participate in this week's challenge, you will qualify to win all "4" stamps sets, which will be my 7th Edition! AND there is one 'extra' special item I will be throwing in as well! So, in order for you to qualify, you must participate in this challenge & you have 2 weeks to do so! Challenge deadline is on June 22nd! GOOD LUCK! I can't wait to see what all of you come up with! Your card looks great like always my friend and everyone did an amazing Job showcasing your wonderful stamps. You are AMAZING!! And, you have an AMAZING Design Team!! :) Love it ALL!!! How do I choose which set I want first?? Okay, your card is just adorable! I love your fake "Elegant Edges"! You've almost convinced me, except for one problem. I don't have Lacy Labels either!!! I love everyone's cards, They are truly adorable. I love all the cards featured here. they all came out looking great. It also means that I have to reinstall all my carts on the new gypsy. I have over100. I just sent it back the other day, I hope it doesnt take to long. Love your card Emma! And your DT rocks! The little astro boy is super adorbs Emma! i just adore him - he's the cutest little thing ever!! How exciting! I can't believe edition 7 will be out soon! Can't wait to see what you come up with! Fab projects, ladies!!! You are all so very talented!! Thank you for sharing with us!! Thank you so much for choosing lite carts! I really need to explore these more! And THANK YOU so much random.org for choosing my #. I have no idea what cart I want 'cause I want them all!! Fun challenge Emma! And it gave me the chance to use one of my unused Lite carts! And what an awesome prize! Just awesome all of them!!! I love everyone's style...just love it!!! Great challenge. I like to do challenges and then send cards to Cards for Soldiers. Great cards by DT. Such cute projects :O) All of them. I really love the glitter paper you used on the Independence day card. Great use of the stamps, too. Can't wait to try to participate in the challenge. Thanks for stopping by and leaving me some bloggy love! Adorable! but what else whould I expect from you! lol! Your card came out so cute!! Pat your self on the back. Adorable project! Thanks for the fun challenge! What cute cards the DT did! Thanks for the fun challenges! Such wonderful projects, they give us all so many different ideas. Your design team is amazing! Always have fun with your challenges, Emma! The design team did a great job! You make our day. Love all your information. Thanks for the great Challenge. Your cards are wonderful. Oh My all of the projects are Awesome!! Great job ladies!! Love your videos Emma. Thanks for the fun challenge and a chance to win your awesome stamps!! Another GREAT challenge Emma ... Love everyone's adorable cards! I love this card and Lacy Labels. I wish you would have done this video before I went out and bought Elegant Edges, lol. I have submitted a card for the challenge. Thanks for all your inspiration. I absolutely love your little astronaut!! Adorable!!! 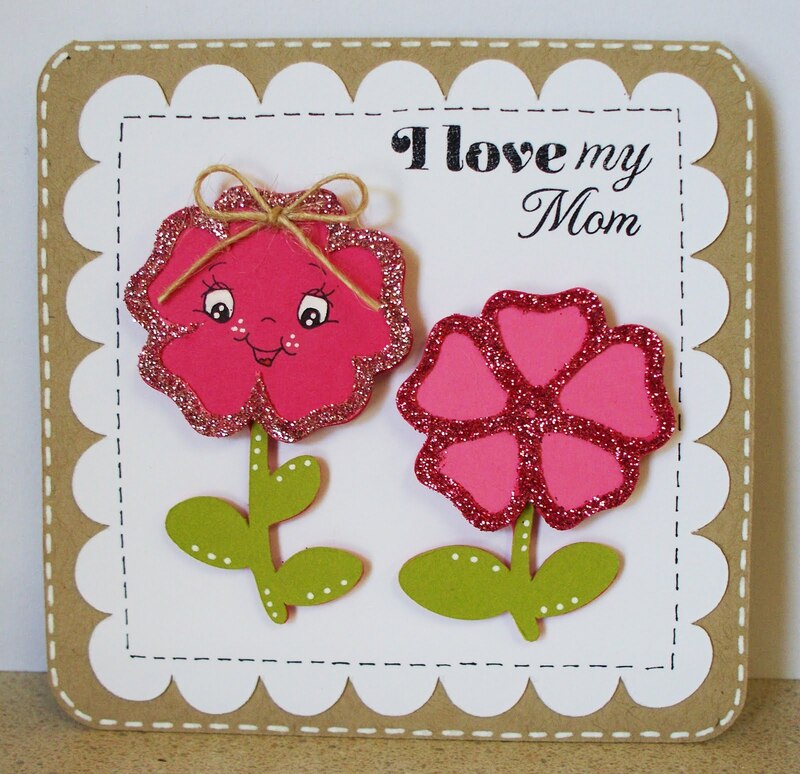 I just linked up my card! Thanks! 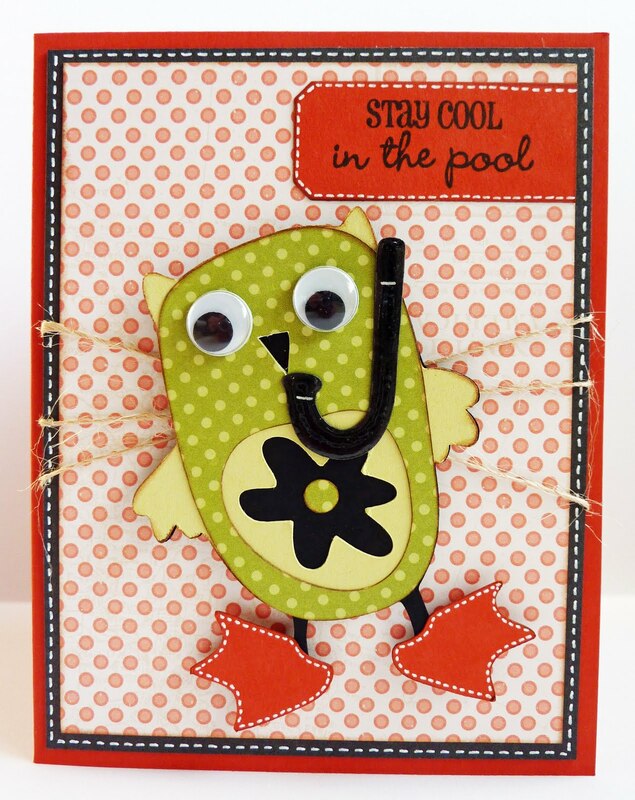 Love your card and that you got creative with the shape. The little boy is adorable and I love the little face too. I am loving the papers and the kraft cardstock!!! Thank you so much for inspiring me. You and your design team are awesome. Love your astronaut and all the other projects.Thanks for the fun challenge. You and your design team have done a great job as always. Thanks for the inspiration. Your DT Rocks. Loving all the wonderful projects! Thanks for another fun challenge! The Design Team did an amazing job! I loved all the projects. I enjoyed playing in the challenge! Thanks so much for the challenge I really like my Cricut Lite "Playtime" cartridge and a chance to use it! Very fun challenge. Thanks for putting this one. I had tons of fun with this one! Thanks for a great challenge. Nice challenge en beautifull cards off the team. Also nice cards of all the other peoples! Hope you like mine too. OH my gosh the cards are adorable! This was the first time I pulled out my only Lite cartridge! Thanks for a fun challenge!! What a fun challenge, and such beautiful designs from your team! Thanks so much for hosting such a great challenge!! Great challenge! Great way to get a few of those carts out I never use :) Thanks! awesome challenge... this is my 1st time. Every ones projects are so nice.. Thanks for the challenge. It helped me to do something new. I love bling and was excited to see all the different ways people incorporated bling into their projects. Awesome challenge. I love me some bling! Awesome creations everyone! Emma I can't wait for the release! Again, congrats on your success! ;) Thanks for the opp!